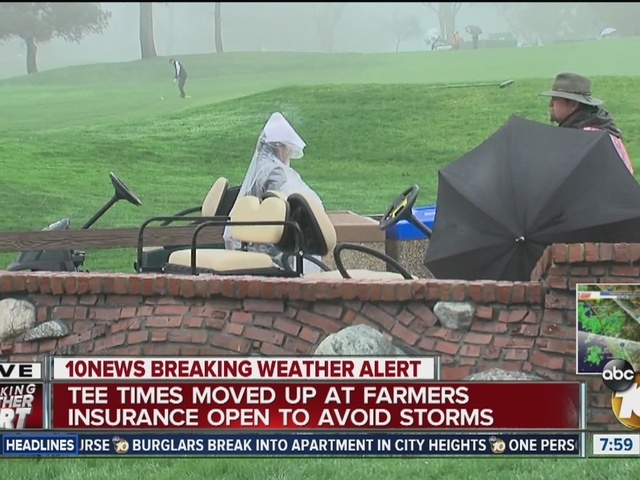 SAN DIEGO -- Severe thunderstorms and fierce, cold winds pounded San Diego County Sunday, causing trees to topple, road closures due to flooding, numerous traffic collisions in the region and the suspension of play several times at the Farmers Insurance PGA tournament at Torrey Pines Golf Course. 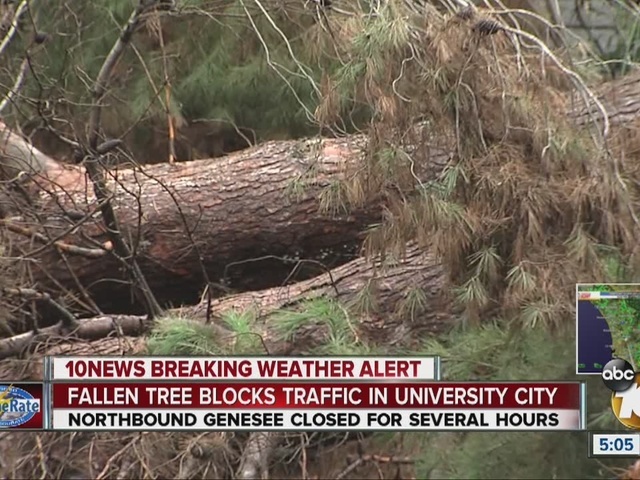 The National Weather Service was busy issuing watches and warnings this afternoon. 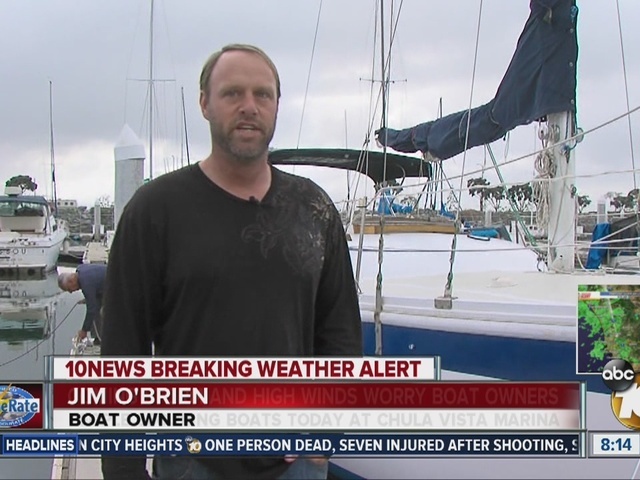 A marine warning urged boaters to seek safe harbor and golf tournament spectators to get indoors. 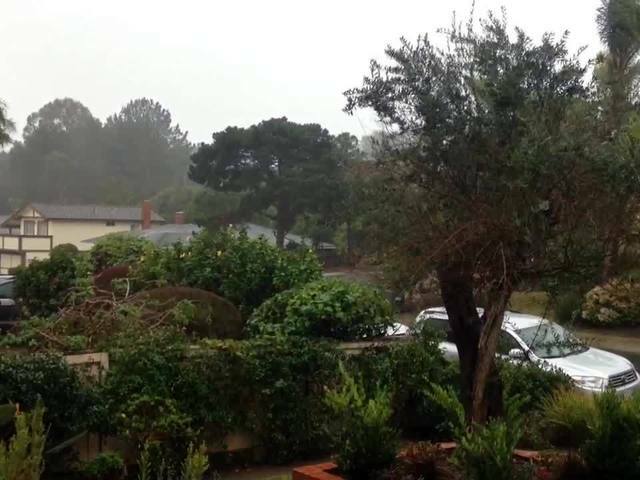 Three inches of rain had already been recorded atop Palomar Mountain by mid-afternoon. 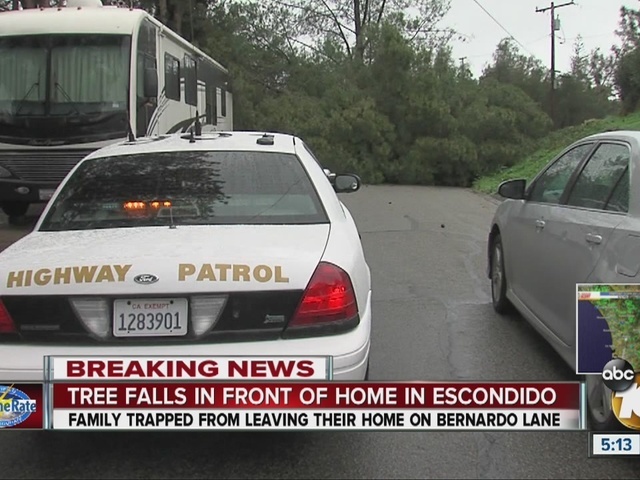 Even though the weather was severe, a forecaster at the National weather Service said it was not caused by El Nino. 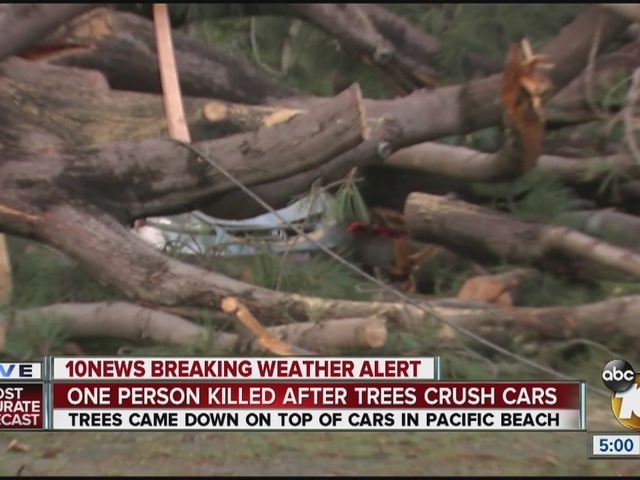 "It's a typical winter storm coming from the Pacific Northwest," Tina Stall of the NWS said. "El Nino events come from the west." The National Weather Service issued a high wind warning for the mountains and deserts for the 24 hours through 6 p.m. tonight. 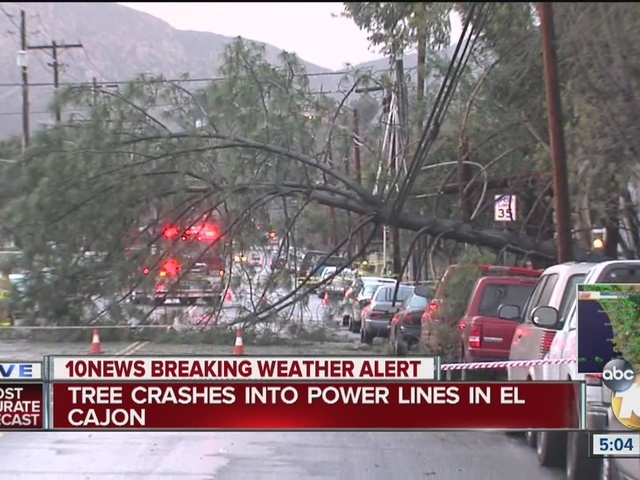 Wind gusts could reach as high as 85 miles per hour in the mountains. A high surf advisory was in effect until 10 p.m. for San Diego coastal areas, including strong rip currents and minor beach erosion expected from 8-foot wave sets. Julian, Pine Valley and the Laguna Mountains should see snow, including the higher elevations of Interstate 8 east of Alpine, as the snow level could drop to the 3,000-foot elevation by Monday morning, forecasters said. 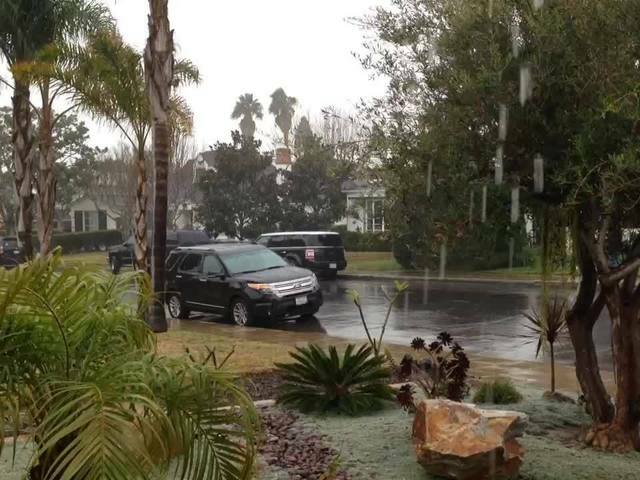 Up to an inch of rain was forecast for San Diego's coast and inland valley, as much as three inches in the mountains. 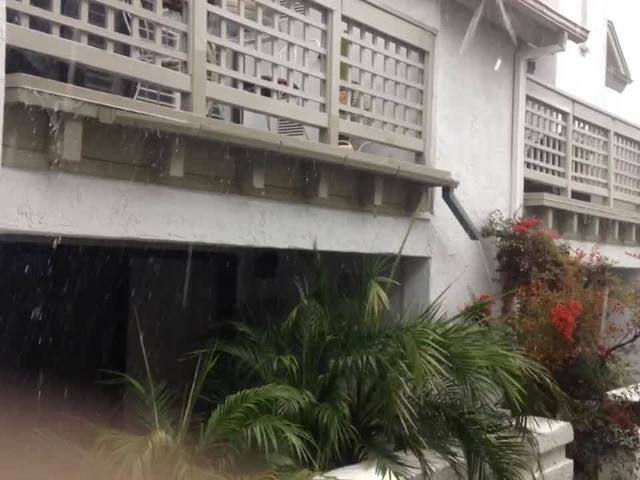 Minor urban flooding is likely, according to the weather service.